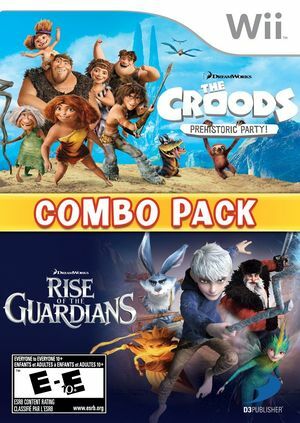 Combo Pack: The Croods: Prehistoric Party and Rise of the Guardians is a compilation disc consisting of The Croods: Prehistoric Party! and Rise of the Guardians. The graph below charts the compatibility with Combo Pack: The Croods: Prehistoric Party and Rise of the Guardians since Dolphin's 2.0 release, listing revisions only where a compatibility change occurred. This page was last edited on 10 October 2017, at 15:09.